It is easy to confuse the bobcat and the lynx. The wildcats have similar black tufts of fur on their ears and are of similar size. Both are still hunted for their luxurious coats. 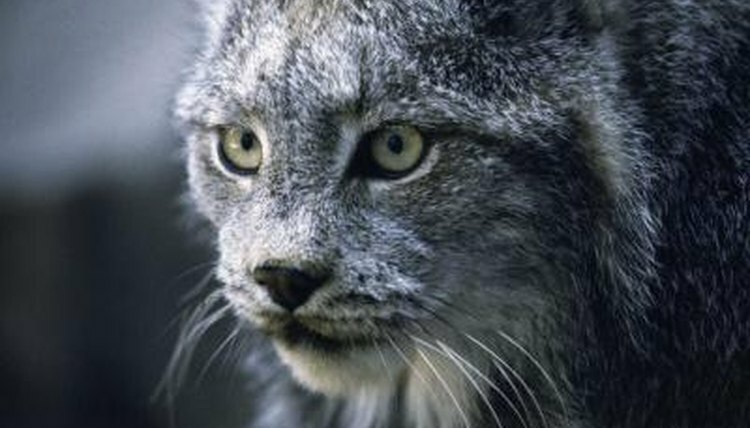 National Geographic lists only the lynx -- and not the bobcat -- as threatened from a conservation standpoint. Lynx and Bobcats are closely enough related that they're in the same taxonomic genus, Felis. The lynx is Felis lynx, the bobcat F. rufus. The lynx is not a homogenous species -- there are, in fact, many breeds or subspecies. In North America, F. lynx is the Canada lynx and is typically smaller than European species of lynx. The Canada lynx is a bit larger on average than the bobcat, with a body length of 32 to 40 inches compared with 26 to 41 inches and a tail length of 4 to 8 inches versus 4 to 7 inches. The lynx is also much heavier, weighing 22 to 44 pounds compared with the bobcat's range of 11 to 30 pounds.